Indian cricket legend Sachin Tendulkar was to be sworn in as a member of the upper house of parliament on Monday after being nominated in a surprise move criticised by some government opponents. Tendulkar, who is worshipped by millions of cricket fans in India, is due to take his oath in the Rajya Sabha for a seat theoretically reserved for people who distinguish themselves in the fields of arts, sciences or social service. He will be the first active sportsman to serve in the house, though he has previously vowed to steer clear of politics and is expected to hold the seat only as an honorary position. When he was nominated in April, the Times of India said the gesture made “little sense” while some opposition lawmakers accused the government of crass populist politics. 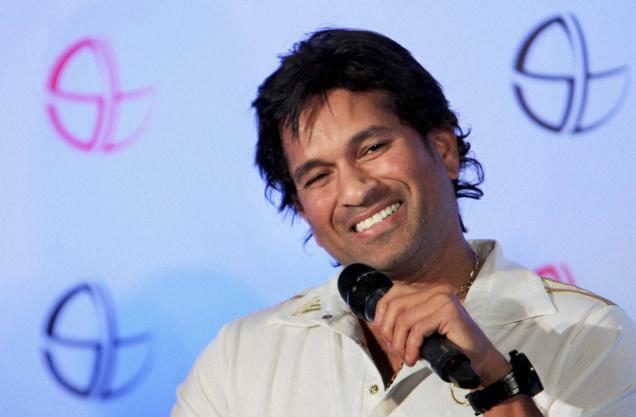 Om Mathur, a BJP member of parliament, said at the time that Tendulkar was being used by the ruling Congress party to boost its support in the cricketer’s home state of Maharashtra. Tendulkar, 39, is the world’s highest run-scorer in both Test and one-day cricket and in March became the first batsman to complete 100 international centuries — 51 in Tests and 49 in one-dayers. He shows no sign of retiring in the near future. “I believe the president has chosen me after recognising what I have done for over 22 years,” he said after he was nominated. He will be sworn in by Hamid Ansari, India’s vice president and the chairman of the upper house. Sachin deserves for more than MP as he is very pateint and does what is allocated to him with ful devution and spirit of hardworking.as a result he got the prize ,we congratilate him as MP and wish him a good luck.